Reiki is the universal life force, is what gives us life; when you learn Reiki, you learn to channel this energy through your hands to balance and harmonize your (or others) life force. It's very gentle, and non-invasive. It promotes physical, mental and spiritual healing and harmony. It's very relaxing to give or to receive Reiki; most of the time it makes you sleep better and reduces stress. 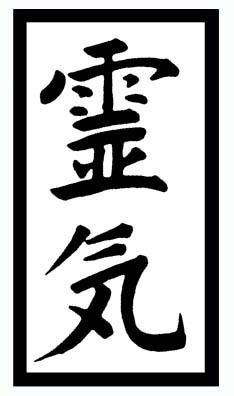 To learn Reiki you need to be attuned to it, so it's passed from teacher to student. It is spiritual and has nothing to do with any religion. There are 3 or 4 levels of Reiki depending on the lineage or school you learn it from. Level 1 is the basic level and is great for self-healing, and to give to family, pets, and plants. Reiki is the process of channeling energy to heal your physical, emotional and spiritual issues. Carmina is a Reiki Master and has combined Reiki and other modalities such as hypnosis or Quantum Touch with wonderful results. During a Reiki session she will clear energy blockages in your body and aura. She is available for personal attunements and classes. Classes are ongoing throughout the year. Under Events and Classes you can learn about the many opportunities to get involved. For more information or to make an appointment please call or e-mail with a time to reach you at 609.203.4113 or quantumcarmina@gmail.com.